When your baby cries, you learn early on how to be attuned to the sound of that cry. You become adamant in the knowing, so as to understand what your baby is crying out for. It has a tune, that you are able to discern almost immediately; once you begin tuning into your baby. The sound of hunger, the breaking tone of discomfort, or the close todeathaffectionate tone of wanting to justbe held. If you ignore your babies cries, they get louder and louder. After much trial and error you were able to master the answering of that cry, and soon after there would be something new or more challenging to tug at you. Each time you either; held space for the cries because of your willingness to learn and eagerness for your baby to adapt, or perhaps you may fall short at times by giving in and solving it by feeding your baby. Covering up something you felt you couldn’t resolve by finding a temporary solution. The truth of the matter is, the latter is how you manage yourself daily. You tell yourself you’ll deal with your struggles, you’ll sort it out but often by feeding it a temporary solution. It works, but does it solve the issue at hand? When you do not give yourself enough time to cry, so as to understand yourself, you are covering up your underlying needs by suppressing them. These needs are not met- not only by yourself, but you will come to know that they’re also needs that haven’t been met in your childhood by your caregiver(s). Not to say, that many parents didn’t do their best with the knowledgethey had, through what they were taught. Rather it is coming to an awareness that you’re simply continuing on a generational chain of patterns and habits. Most habits are observations you took from your environment as a child, that found a place in your subconscious mind where habits developed, memories stored and energy is re-played. We usually act out of our subconscious mind and it is a programming that acts as a lens whereby one see the world and perceives it. You make your everyday decisions out of this part of your mind, you react out of it. Your beliefs and values are stored there about yourself (who you believe you are)- usually beliefs given to you from the responses you received earlier on in your life. You create images of the world you live in from this part of the brain, which dictates to you, your chosen path. It is a boat that you are sailing on, that is stirring your life without your realising it. As life pushes your buttons, you have this subconscious that literally speaks for you. It is a fixedway of receiving, giving, reacting, responding (to name a few)that isn’t completely your authentic state but it has become so habitual that it feels safe and natural. These ways are programmes instilled in you from your caregivers, the education system, society at large. You developed a way to filter out anything unfamiliar and continued to absorb information\ways of being similar to that which you received in your childhood and adolescent years. Anything new – good – or even great is rejected by your subconscious because you’ve developed a way of ‘being’ in the world. Unique to the way you were raised. So in tune, your cries and struggles are unique to the way you were raised. Everyone you see, though you may feel isn’t struggling with what you are. Has a different and unique cry. Your cry as a mother is important. The good thing is, the parenting you received were learnt ways of being. You are able to gain control of your life and completely recreate emotions, beliefs, values and ways of being. So, if you are feeling frustrated, angry, in denial, stuck. It is not your fault and you have to believe that there are ways of breaking the cycle for yourself, your children and generations to come. As you may have noticed by now, many of the Motheringstruggles you are fighting are not yours. However it is your responsibility as a Mother to Heal those cries and nurture yourself; so to better take care of your baby or children and their cries. I want you to pause and take a moment and truly ponder on what cries YOUhave buried beneath the frustration, tiredness, anger or hopelessness. Have you ever thought about Mothering or (Re) Parenting yourself as a form of Self Care? because physical maintenance is a task and it requires a lot of effort when you have very small children. Often, I would try my best to care for my outer self because I knew it helped me somewhat feel better about the chaos inside of me. As a young mother I realised I was not taking care of myself emotionally. I didn’t even realise my need for emotional care. I don’t think it is something most of us learn at home. I know for sure, I was taught the importance of maintaining my home by being given chores that I excelled in because I was taught that this was somehow going to serve me later in life when I had a family of my own. Except, I became too focussed on serving. I didn’t know when enough was enough. I couldn’t accept that I could ‘burnout’ when I did become a mother. I was living out of my subconscious and serving to me meant that not only was my home in tip-top condition but as a result I would be appreciated. My Self Worth was tied to serving and being a pleasing to those around me, not realising that this was going to hurt me and my children. I never thought about the Mothering for the ‘long run’. So as you may have gathered, I was walking around seeking validation for being subservient in detriment to my physical and emotional health. What we often forget is that, there are ways around it and perhaps my ONE example may not resonate but I am sure you can think of many ways you unconsciously ignore your needs daily. I would like to share some really important and life altering ways that have helped me in meeting my personal unmet needs. I didn’t come to it easily. It actually required me to lose people, possessions and status but it was perhaps the greatest gift I could give myself. Although at times, I still question, I still wonder however what I do have now is a clear understanding of my priorities. I invite you to do the same. The first Self Care act comes in the form of Setting Boundaries which has helped me greatly in regulating myself emotionally. Becoming better able to understand what I can and cannot tolerate from others has helped me make better decisions. To achieve this you must protect yourself. Protect the energy and the treatment you are exposed to and surrounded by. This will require you to re-evaluate yourself on a whole, the boundaries you currently have or lack thereof; especially in close relationships. Once you are aware of the patterns in people who drain you and do not serve you, then you will be better at limiting and protecting what you allow into your energy space on a day-to-day basis. This requires you to speak clearly on what matters to you. And if ever, you feel rejected, shamed, misunderstood, isolated, ostracised, abandoned by anyone, not matter how dear to you. You must understand it is not your fault, nor an issue within you. You have every right to set a boundary with the most dear of people. If theytruly are dear, they’ll welcome the change you need. Your life is in your hands. The best thing you can do, is listen to your gut by changing anything that feels uncomfortable, repetitive, toxic, manipulative and that simply doesn’t serve your well-being. A Mother who protects herself, protects her children because she knows anything she experiences or is subjected to; directly affects her children and the programmes or the subconscious ‘ways’ they will develop and act out from, later in life. Now back to your cries, do you ever notice how you feel if you skip a meal? or if you don’t drink enough water that day? Does it make you feel weak, tired, angry, sluggish, agitated? reactive? If you’ve got this far into this Blog, I’m assuming YES, YES AND YES!! The second Self Care practise is Self parenting …To Mother yourself. Yes, you read correctly! This has to be my favourite Self Care approach of all. Although I will remind you, without the First self-care practise (establishing boundaries), Self Parenting will be a challenge. Self parenting is taking this ‘Self Care’ wavethat is happening today all around you, especially on Social Media and remodelling it by giving it a different meaning. The mental images of lush Epsom Salt Baths, the lavender diffuser diffusing on a Sunday, or even ‘Netflix and chill’ midweek. Taking these examples and tailoring it to YOU, by asking yourself as a ‘Mother’, What does self-care look like to me? What does it feel like? How can I mother myself? I did this firstly by becoming more attuned to my needs on a moment to moment basis, like a Mother would her child. To check in often, to listen to my cues; especially in the presence of my children when I suddenly feel the need to react. I personally started with food, feeding myself nourishing foods that would sustain me throughout my day. For example, one of the needs I found was that I was Iron deficient. It is a good idea to start with your health requirements. I then started to practise writing my sporadic thoughts onto paper so as to reflect and understand my needs better. I started to prioritize myself a little more each day by simply stopping to breathe through challenging moments. The learning of changing old habits and instead, serve yourself first is a crucial part of self parenting. Checking in takes time, if you listen carefully and long enough you’ll know what to do. Below are some easy questions you can ask yourself. Getting into the habit of questioningyourself is a great way to cultivate introspection. Do I need a glass of water right now? Serve yourself. What one thing could I eateverydaythat would better my health? Do I need space? Leave the environment, go to my room and catch a few breaths or a 10 minute stretch. How can I be kinder to myself today? Do I need support? Ask for it, or search for paid services. What could I do to welcome how I am feeling? Do I need a hobby? Spend time reflecting and cultivating a new hobby. Where can I delegate tasks? Do I need to get outside? Health is an investment. I do understand that Self Care can be difficult to begin with, and that’s OK. Self Care doesn’t look the same from person to person either. However, taking this Self Mothering approach is going to teach you to become more attuned to yourself and learn how to do that through becoming Self Serving. Just like you as a mother would prepare ahead for your child on a trip, a sick day, a day that requires low impact activities. Prepare rituals for yourself that you can fall easily into as a way to mother yourself. Be tender, compassionate, responsive, and think ahead. At the beginning of this Blog, we spoke of the time it took for you to become attuned to your baby. The more attuned you were to his\her cues, on a moment to moment bases the better you were able to fulfil the need accordingly. Fulfilling a need requires you to be present in the moment. The more you are willing to listen to yourself and your momentary needs, the increase in your Self Worth, Self Validation and Self Regulation. The last Self Care act I’d like to leave you with is to Self Care through Healingyourself. A Mother who awakens to her own subconscious, becomes aware of her patterns, thoughts and behaviours. Healing herself is the greatest gift she can give her children. Reading on the matter is a beneficial way to achieve that. Being aware and open to healing is the best type of self-care you’ll be exposing yourself to. Parents who Self Care in this way, model healthy ways of being in the world to their children, otherwise we are all walking projections of pain and fear. Healing requires deep introspection, and mistakes through trail and error. Just as a new motherfeels, it’ll be scary and exciting all at the same time! These are all the things I wish I knew before I had children and I sincerely hope this Blog was of benefit to you, and I ask Allah the Al mighty to give us understanding and beneficial acts to follow. My name is Ilham. I am a mother of 3 Alhamdulilah. Divorced. Studied Sociology at City Uni London. I’m from West London, however I’ve been living abroad the last decade. I currently live in Cologne, Germany. I taught English as a second language to pre school children ages 3 to 6 before becoming a parent. I’m preparing to go back to work soon, holding off for as long as I can doing small jobs from home while school isn’t compulsory before age 6 where I live. I have a Blog and a Youtube channel where I share my some of my experiences and tips on healing, growth, self care and mothering. « Teach the 99 Names of Allah to children through PLAY! LIVE Q&As + Big Announcement! 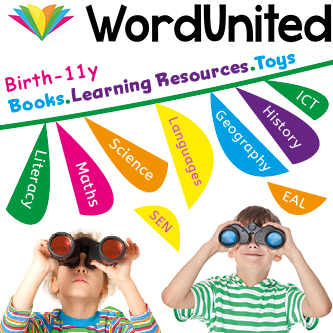 LOOKING FOR FREE HOMESCHOOL RESOURCES? SIGN UP TO RECEIVE OUR NEWSLETTER! You will love these posts!